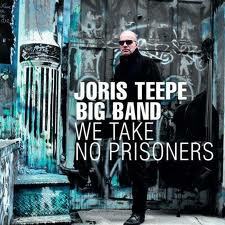 Bassist Joris Teepe is another of the many Netherlands musicians who now make their primary home in New York; he has lived there since 1992. He composes and arranges for groups in his original homeland, in Romania and the United States. The organizations range in size from quartets to big bands and symphony orchestras. In his spare time, he teaches. This album features his 17-piece big band, consisting of eight brass, five reeds and a four-member rhythm section. It's a stunning, beautifully rehearsed group that plays half a dozen of Teepe's compositions. The style is quite modern, but nicely swinging. It's the kind of music that is best appreciated in a concert setting: complex at times, but interesting enough to hold your full attention. I've listened to this album again and again, each time hearing something new. A note of interest: Some of the compositions and arrangements originally were written for an 87-piece symphony orchestra, then were rearranged for big band. Comparing Teepe's group to other, comparably sized bands of today, reminds me of what happened when Stan Kenton's first big band appeared, years ago. His sound initially was labeled “symphonic jazz,” “artistry in rhythm” and other, similar descriptors. Kenton's work was more complex, but it still swung. So does Tempe's big band. The “They” in this album title refers to legendary composers Johnny Mandel, Michel Legrand and Henry Mancini, who wrote the songs on this CD; the relatively unknown Angela Hagenbach is the featured vocalist. Although I wasn't initially familiar with her, it's clear that Hagenbach won't be “unknown” for long. Further proof of her bright future can be found in the quality of the musicians secured for her backup group. They're all first-rate, with pianist Tamil Hendelman and guitarist Larry Koonse the stand-outs. Despite the vast number of immediately recognizable hits written by Mandel, Legrand and Mancini, most of the melodies here aren't the ones you'll remember (the exceptions being “I Will Wait for You,” “Charade” and “The Way He Makes Me Feel”). Being lesser-known, however, certainly doesn't make them any less beautiful. Although some of these selections — notably “Sure As You're Born” and “Quietly There” — generally are performed by jazz instrumentalists, because of their melodic lines, Hagenbach clearly demonstrates that their lyrics are equally beautiful. This is a truly fine album. We'll be hearing more from Hagenbach. 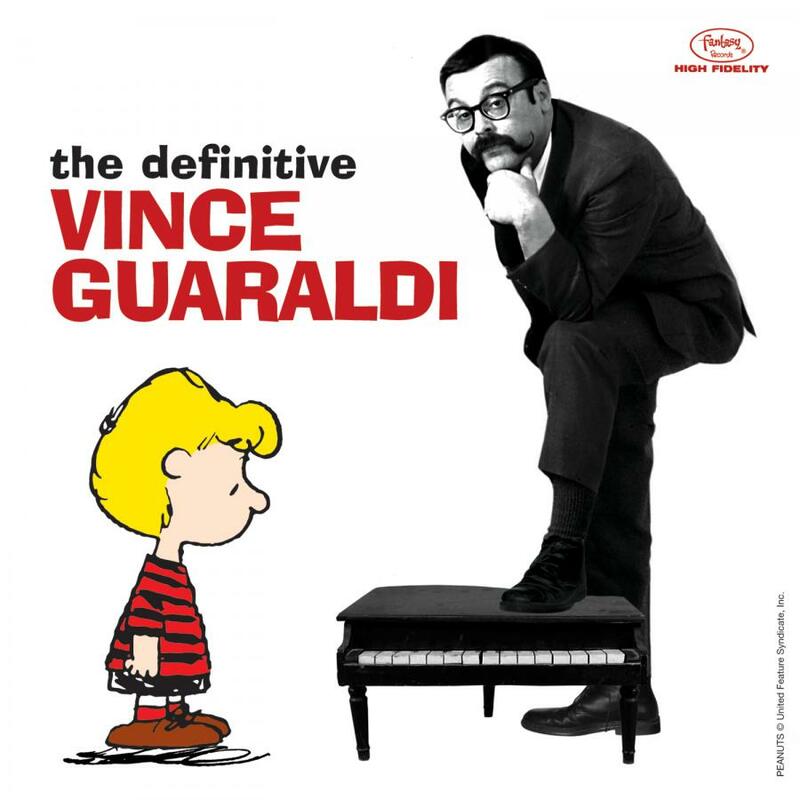 Vince Guaraldi is the best-known pianist in the world today, and I make that statement without reservation. The millions of Peanuts fans know him from the musical association with Charles M. Schulz's comic strip characters and their unforgettable TV Specials. But Guaraldi had acquired an impressive fan base long before Schulz and Lee Mendelson — producer and director of all the animated shows — had even met. Guaraldi, born in 1928, became a noted jazz artist in the early '50s when he joined vibraphonist Cal Tjader's group; Guaraldi further expanded his fame as a member of Woody Herman's Third Herd several years later. Guaraldi formed his own trio in 1955 and, until his death in '76, created numerous now-classic albums while under contract to Fantasy Records. Guaraldi's own composition, “Cast Your Fate to the Wind,” catapulted him from a “good jazz pianist” to a truly famous jazz artist. That Grammy Award-winning tune was the catalyst that ultimately connected him to Peanuts and guaranteed success for the rest of his career, and a “forever place” up to the present day. This double-CD album contains 31 tracks from his Fantasy recordings. The first disc features recordings made from 1955 through '63; most were done with his trio, although there's one beautiful solo piano cover of “Never, Never Land” and several other tracks with guest artists. Four are Guaraldi originals — “Calling Dr. Funk,” “Fenwyck's Farfel,” “Star Song” and the masterful “Cast Your Fate to the Wind” — and the rest are covers of familiar standards. Both wonderful discs present Guaraldi at his finest. He loved playing, and it shows; his style was “light” and truly swinging. After the melody was established, his marvelous right hand would lay down chorus after chorus of groovy solo lines, which made it impossible to keep from moving with his beat. His left hand contributed perfect, light chords that always added, never subtracted. My reaction to Guaraldi's music is perfectly captured by the members of the Peanuts cast, and particularly Snoopy, as they dance to “Linus and Lucy.” This is a must-have album! True jazz fans need no introduction to either Miles Davis (trumpet) or Sonny Rollins (tenor sax); they began earning icon status more than 50 years ago. This double-CD includes sessions they recorded together from 1951 to '56, when both were immersed in jazz's bebop phase. The 25 tracks cover 22 tunes; alternate takes of “Blue Room,” “The Serpent's Tooth” and “But Not For Me” are included. All were released originally on 78RPM vinyl, thus the track lengths of 3 to 7 minutes. The groups to which Davis and Rollins belonged ranged from quintets to septets, and most of their supporting personnel also became famous: Charlie Parker, Art Blakey, John Lewis and Percy Heath (key elements of the Modern Jazz Quartet), Horace Silver, Benny Green, Tommy Flanagan and a handful of great drummers (Roy Haynes, Philly Joe Jones and Kenny Clarke). If you enjoy the jazz style that predominated during the 1950s, and you're big fans of Davis and Rollins, you'll love this album. The re-mastered audio is excellent; although the results don't achieve the quality of today's CDs, they provide a clear indication of the future that lay ahead for both musicians. The sessions were unique. Davis plays piano on one track, for example, because the intended pianist left the studio early; Charlie Parker plays tenor instead of alto sax, because he was under contract to another studio. The alternate takes didn't always utilize the same musicians, and many tracks were “head” arrangements that used the basic chord structures of well-known standards, with different melodic lines. Some of these weren't “titled” per se, and were “named” by the studio producer after the artists had departed. 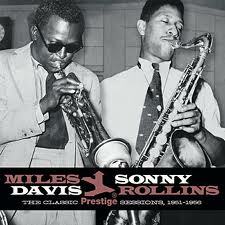 These sessions are among the last recorded before Davis and Rollins segued from bebop to “cool” jazz. They were superb in both genres. Dave Glenn, director of jazz studies at Whitman College in Walla Walla, Wash., is another of the many excellent musicians who makes his home in the Pacific Northwest. After receiving both bachelor's and master's degrees, he moved to New York City and spent 11 years as a professional trombonist. Ten of those years were with the Gerry Mulligan Concert Jazz Band, and Glenn also toured with Bill Watrous' marvelous Manhattan Wildlife Refuge and somehow found time to work with Chuck Mangione, Blood, Sweat and Tears and the Mel Lewis Orchestra. Glenn currently teaches, instructs and composes commissioned works for musical groups around Walla Walla. This is Glenn's second album as a leader. He's an avid baseball fan, and he composed and arranged all these tunes after a monthlong journey during which he attended 18 major league games, in 19 days, at six different ballparks. Each track relates to the sport's history: individuals, the fans and elements of the game. The supporting sextet is excellent: Dave Scott on trumpet, Rich Perry on tenor sax, Gary Versace on piano, John Herbert on bass, Jeff Hershfield on drums, and Jim Clouse on soprano sax. Aside from two tracks done as ballads — “Roberto Clemente Bridge” and “Reliving the Glory Days” — everything is mid- to up-tempo; the melodic lines are clever, and the solo work is top-drawer. It should be noted that the CD was produced by John Fedchock, quite a trombonist himself. 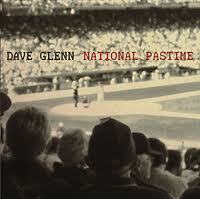 This is a neat album, whether or not you're a baseball fan. I sometimes worry that if it weren't for the elderly icons in the jazz world, I'd have no exceptional albums to review. Gerald Wilson is such an artist: a 91-year-old trumpeter, pianist, composer, arranger and bandleader who has been with us almost since the beginning of jazz. He got his start with the Jimmie Lunceford Band and spent time with Benny Carter, Duke Ellington, Count Basie and Dizzy Gillespie and, no matter the style, fit in with all of them. Wilson has written or arranged music for every major artist you can name, and still performs that service today. This album was commissioned by the Detroit International Jazz Festival, to commemorate its 30th anniversary. One of the album's highlights, a multi-part suite, was recorded by members of two of Wilson's big-band orchestras; he heads one in Los Angeles and another in New York City. In recognition of his fame, his bands consist of the country's top musicians. One of his guitarists is his son, Anthony, who has worked extensively with Diana Krall. 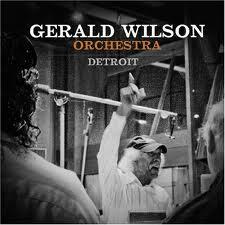 No matter the location of Gerald's orchestras, they both swing fantastically. Each of the suite's movements is named for areas or memories associated with Detroit. The melodic themes are moving, as are the solos by this great crew of musicians. You'll hear a couple of flag-wavers (“Blues On Belle Isle” and “The Detroit River”) and a lovely ballad (“Detroit”); the rest are smooth, mid-tempo, straight-ahead numbers that'll make you want to move. It's not too strong a description: Gerald Wilson is a jazz genius and a living legend.